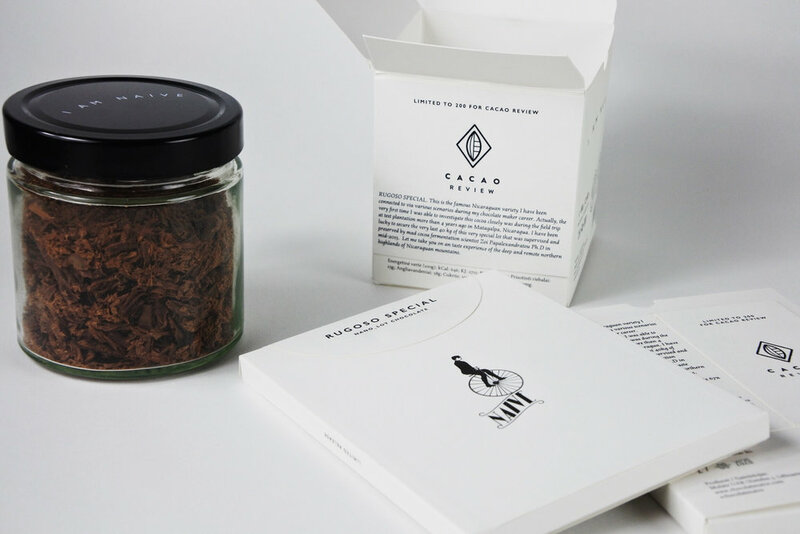 Chocolate Naive, perhaps one of the most revered chocolate makers to ever exist, has created this Rugoso Special Nano-Lot chocolate bar and drinking chocolate just for us, and we almost can't believe it. 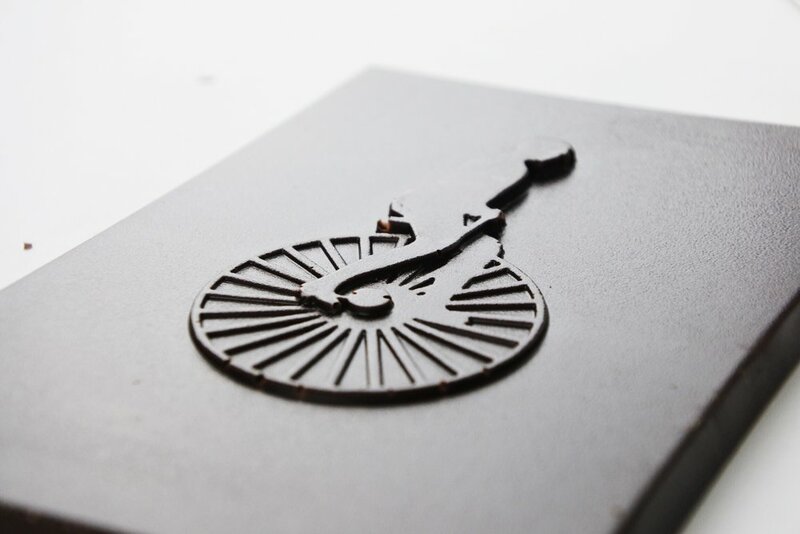 Known for his wild imagination and dare-to-dream approach to chocolate making, Domantas Užpalis of Chocolate Naive has created a truly astonishing masterpiece from his small factory in the Lithuanian countryside. Rugoso, meaning "wrinkled or rough," is the name given to the cacao because the fruit is recognized by its typically rough exterior and bright orange pod. The Rugoso variety was awarded Cocoa of Excellence at the International Cocoa Awards in 2015. This award acknowledges the quality present in the Nicaraguan beans, as well as the high standard used to ferment and care for them. "This is the famous Nicaraguan variety I have been connected to via various scenarios during my chocolate making career," Užpalis said. "Actually, the very first time I was able to investigate this cocoa closely was during a field trip to a test plantation more than 4 years ago in Matagalpa, Nicaragua. I was lucky to secure the very last 40 kilograms of this special lot that was supervised and preserved by fermentation scientist Zoi Papalexandratou, Ph.D."
This chocolate has an intoxicating aroma of sweet apple and nectar. In taste, it has boozy notes of beer and wine, with a generous flavor presence of bread. As you approach the middle of the tasting, you may find subtleties of apricot, strawberry, and kiwi that linger through to the finish. 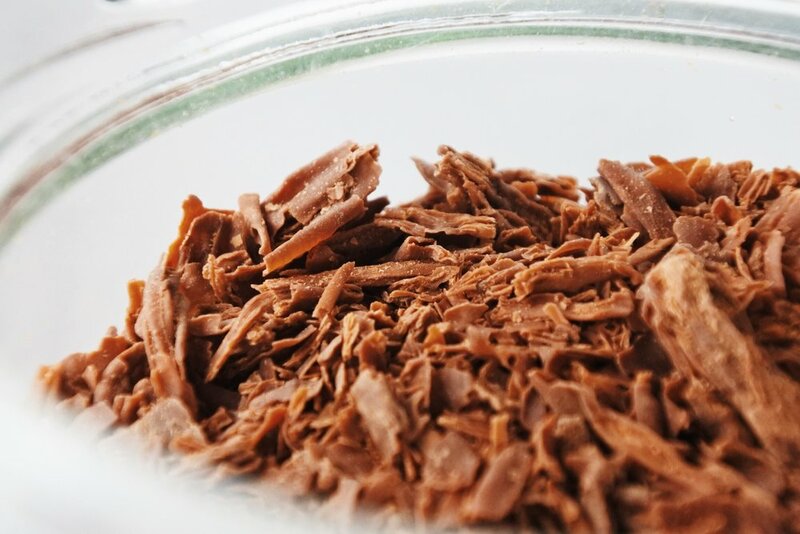 If you want to fully discover the expressions of this origin, we recommend that you make a sipping chocolate by taking 40 grams of the “chocolate in flakes” and whisking it well with equal parts near-boiling water. For a decadent drinking chocolate, slowly bring 6-8 ounces of milk to a high temperature without boiling, and then stir in 2 ounces of the chocolate flakes. You will find that the taste is sweet, with no sharp or bitter indications.